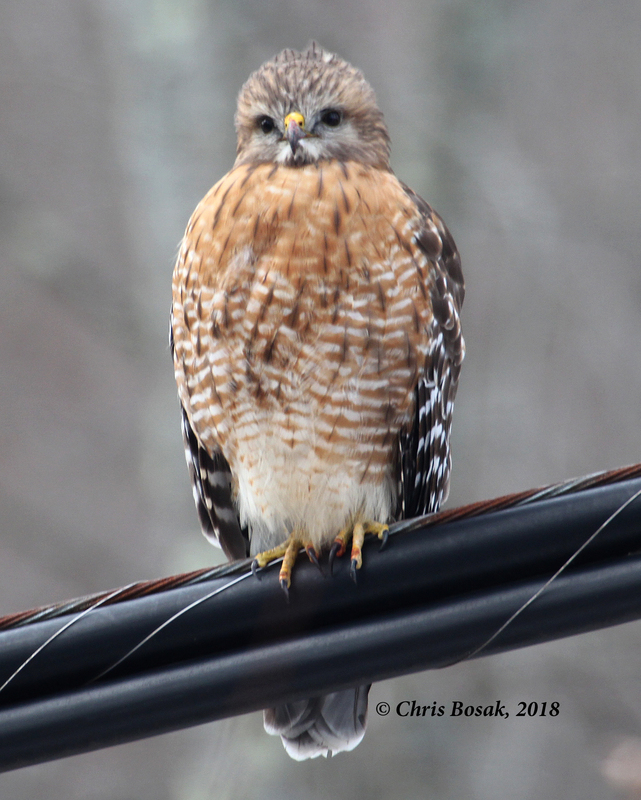 Here are a few more photos of the red-shouldered hawk I spotted the other day in Brookfield, Conn.
Notice how far the head can turn around. Quite an impressive and useful adaptation for birds. I have a feeling this bird is digesting a recently eaten meal. Anybody know what makes me think that? 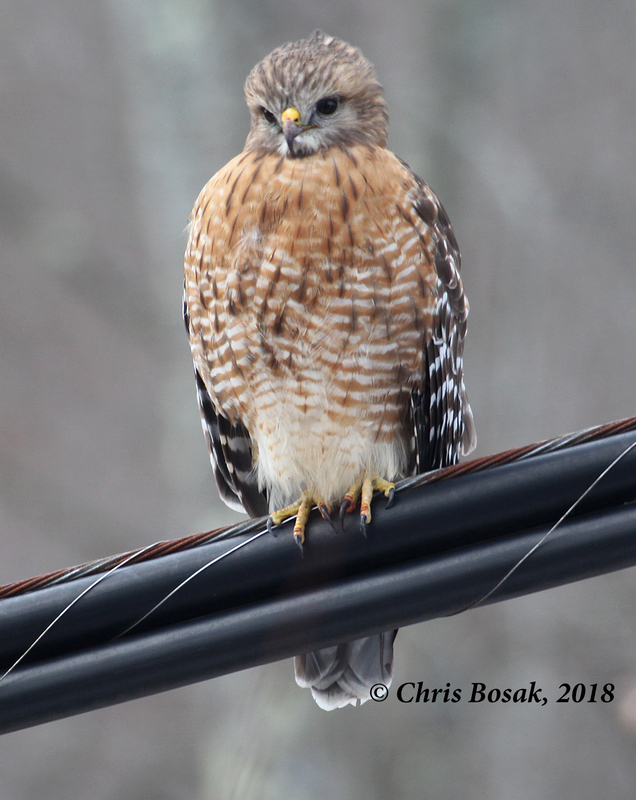 This entry was posted in Birds of Prey and tagged Red-shouldered Hawk by Chris Bosak. Bookmark the permalink. I have no idea why you think the bird is digesting…..please share! PS LOVE your blog and column! 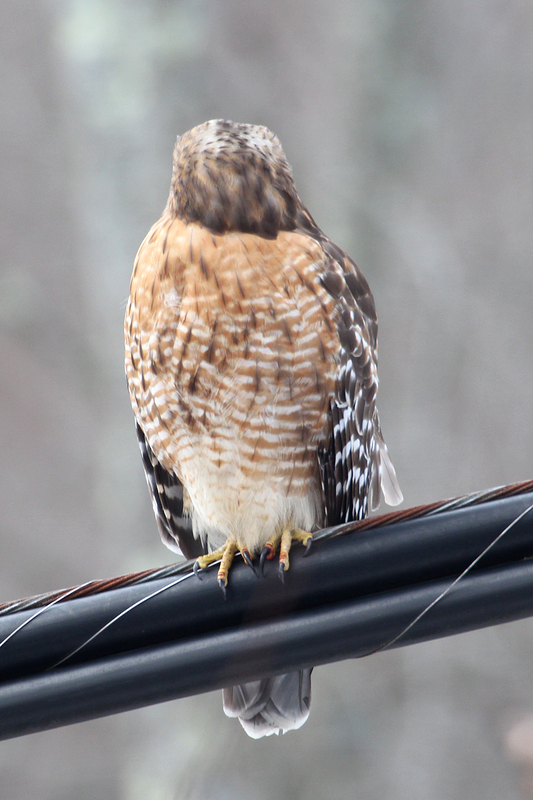 Maybe it was watching people walking by or looking for baby worms too eat.